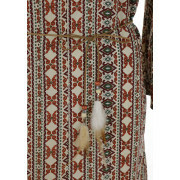 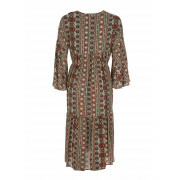 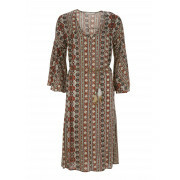 Update your summer collection with this boho inspired Aztec print dress from Boutique Collection. 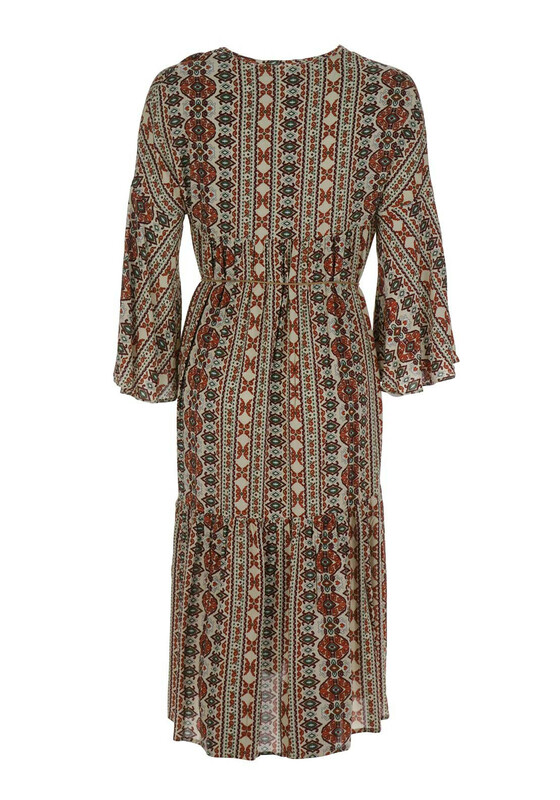 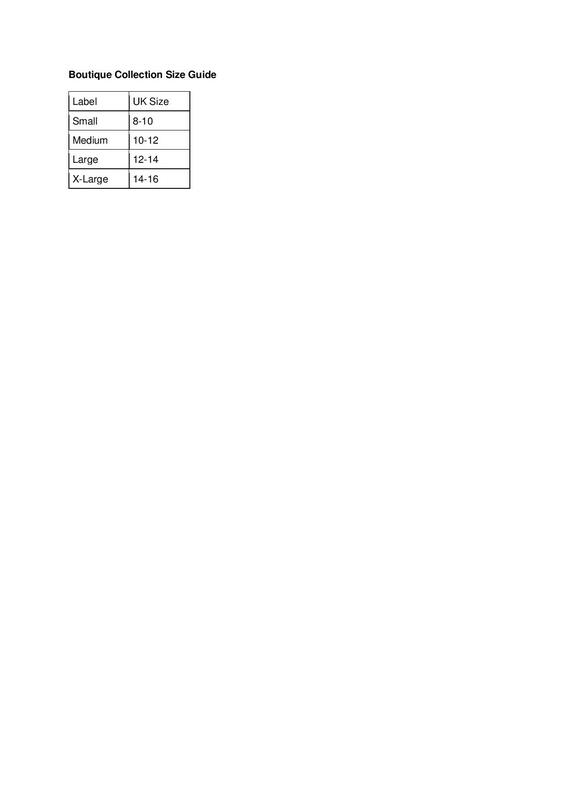 In a flowing loose fit, this midi length piece has slit sides, cropped belle sleeves and a feminine V neckline. 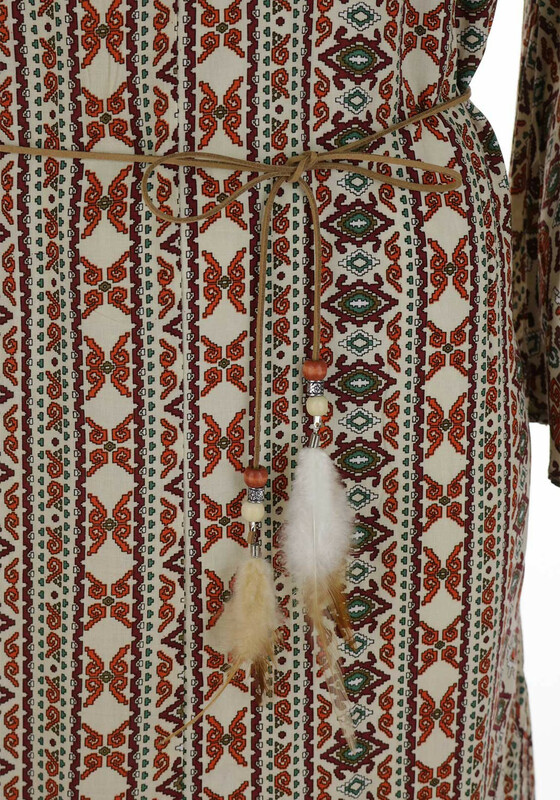 Finished with a beaded and feather trim waist belt to cinch you in on the waist. 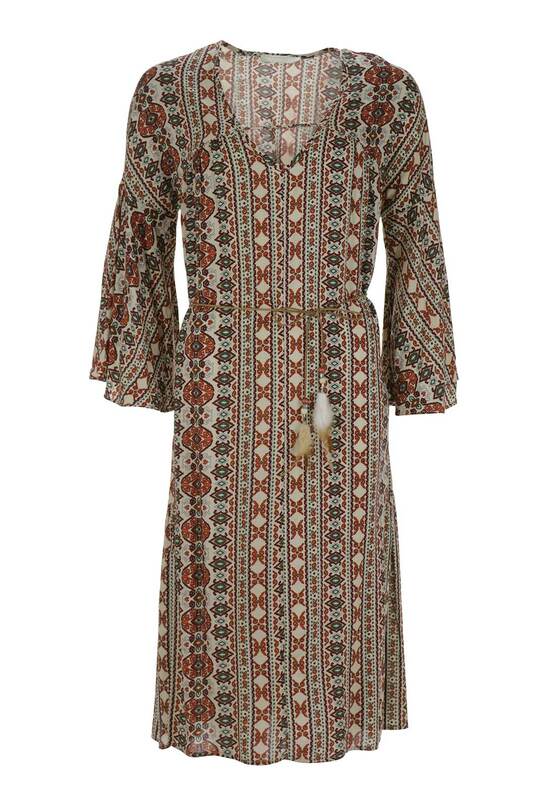 Perfect for festivals with a bead band and gladiator sandals.